This post is by Katie, a homeschooling mother of two, and is from our contributing sponsor, Time4Learning. I know it’s July, but I’m pretty sure many of you are already thinking about the upcoming, not-to-distant homeschool year that will be here before we know it. Right? Well, if you’re not, you should be. Even if you’ve been homeschooling since your now teenager was drinking from a sippy cup, there is always something new to learn and undiscovered information to consider when you’re a homeschooler. Below are a few things that help me as I start prepping for a new academic year. Consider each one of these carefully as you get your planning under way. I can’t say this enough: we have so much flexibility as homeschoolers! We are truly a lucky bunch. As such, you want the curriculum you use to be just as flexible. Why worry about having to complete “X” number of activities by a certain date. Besides, do you really want your child to rush through material that they may not be understanding, much less retaining. Neither you, nor your child need that stress. So if you’re in the market for a new curriculum this year, keep this in mind: find one that is flexible and allows your child to work and learn at their own pace, on their schedule. Depending on where you live, you may need to keep a solid track of everything your child is learning, grades, and attendance. So for those of you who are new to homeschooling, make sure you find out what your state’s requirements are. Once you know, you’ll be able to determine whether you really need to keep tabs of your child’s work and progress, or whether you can focus on the heart of the matter: learning together and making unforgettable memories with your children. In your search for a flexible curriculum, you may be fortunate enough to find one that includes detailed recordkeeping and reports. Problem solved! While we do have tons of flexibility when it comes to our schedule, you have to find what works best for your family. Some parents and children thrive on having a detailed list of what to do and when to do it. If this is the category your family falls under, consider this: don’t burn yourself or your kiddos out and leave some wiggle room. You know that thing called life, well, it happens quite a bit. Kids get sick, exciting opportunities arise, and unexpected adventures call. So don’t stress out if things don’t go as planned a few times here and there. The beauty of homeschooling is you can make up any missed work any time. So what do you do when both you and the kids need a break? Well, for starters, take advantage of the freedom that homeschooling provides and take a break…for a day, a week or longer if need be. Being a successful homeschooler means knowing when it’s time to hit the pause button. If you start to notice that the kids’ enthusiasm is lacking, they are getting cranky on a regular basis, and you’re losing your temper in the process, it may be time to take a few days off. Remember, you can always catch up on work later, and who says you can’t learn while on a break? A trip to the playground, a nature walk, even a family vacation are not only great ways to relax and de-stress, but they also serve as great learning opportunities if you really think about it. Learning doesn’t just happen on a computer or in a book. Do plan to make hands-on learning a part of your homeschool year. Fun adventures in nature, field trips to the science museum and zoo, and hands-on projects should be a part of your child’s curriculum, so be sure to make time for these as well. Bring other homeschoolers along for the fun too. This way, not only will your child be able to hang out with other kids, but you may be even score a group discount. Field trips and experiments are also a great way to bring concepts to life and give your children a new understanding and appreciation of a particular topic or subject. 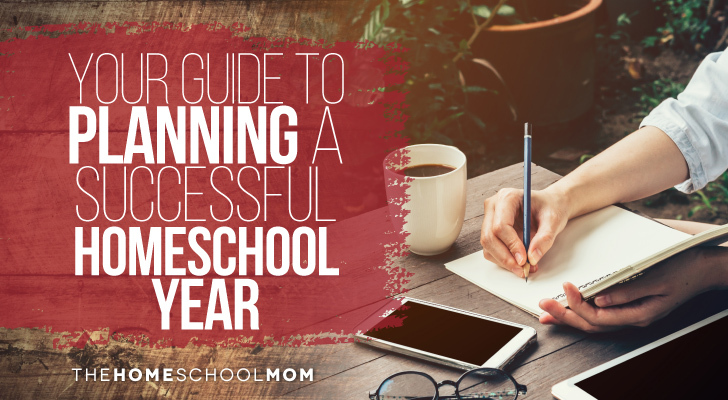 Keeping these tips in mind will do wonders for you as you plan out your homeschool agenda in more ways than one. You’ll know what to look for and what to do to ensure that everyone will have a successful year, and learning will be at the top of your to do list. Time4Learning.com is an award-winning, comprehensive curriculum for PreK-12 that makes learning effective and engaging through animated lessons and activities. Over the last 12years, Time4Learning has helped over 500,000 homeschooling families with its flexible and engaging curriculum that also grades lessons, tracks progress, and keeps reports. Time4Learning is now offering online foreign language courses for members. Choose from English, Spanish, French, German, Chinese, Latin, Italian, Japanese, or Russian. « Considering Homeschooling? Find the Right Fit. Olá. Sou do Brasil. Estou muito feliz por ter encontrado este site. Que Deus os abençoe. Irei recomendá-lo, com certeza. Hi Tom – Thanks for your comment and best wishes in homeschooling your daughter!